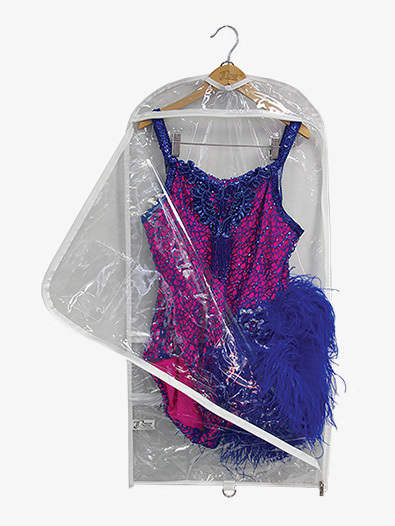 OUR PRICE: $12.00 - Join Rewards Get $1 Dance Dollars On This Item! 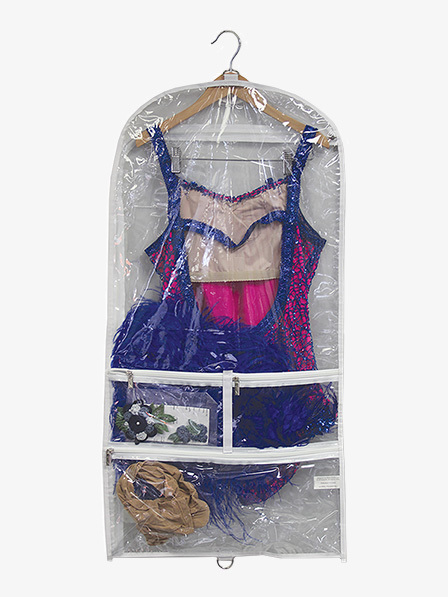 Use Dream Duffel garment bags to store, protect, and transport your costumes with ease. Additional zippered pockets allow you to keep shoes and other accessories organized with the costume. Don't lose track of accessories ever again! 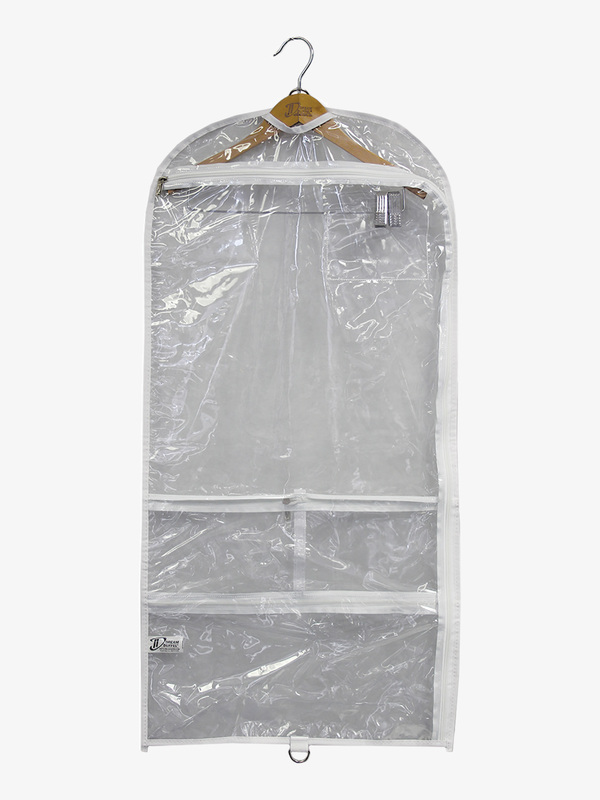 Garment bags are made with clear, lightweight PVC materials. Teacher, shipping or promotional discounts do not apply. WARNING: This product can expose you to chemicals, including DEHP, which is known to the State of California to cause birth defects or other reproductive harm. For more information For more information go to www.P65Warnings.ca.gov. I seriously love these! We noticed another girl with the exact bags I had been wishing for, Dream Duffel. Immediately, I ordered 3 and have added 3 more this year. I love the way you can do a visual costume and accessory check in seconds! They are ideal for two costumes. More will fit, however, I love to be able to see both costumes. The three pockets are the perfect sizes to store every item you will need for each dance. Two pockets are smaller and one is the length of the garment bag. The zippers are sturdy as is the bag in general. I adore these! These make Being a dance mom so much easier!! Yes, this item is clear front and back. This states it is gusseted. Is it 3 inches like most gusseted bags? Yes, the gusset on this item is approximately 3 inches. On the clear dream duffel garment bag for $12.00, do all the hangers need to stick out the top, or do they hang inside? And does this bag fold in half with a handle on the outside for easy carrying? Thank you for the info!